We've featured many elaborate formicariums on Gamergate over the last year and some of them have been quite expensive or created by what some would consider master craftsman. In stark contrast to these nests is Facebook user Dan Smith's sculpted block of hebel/YTONG. When we first saw the images we thought he'd done a great job carving out the tunnels. 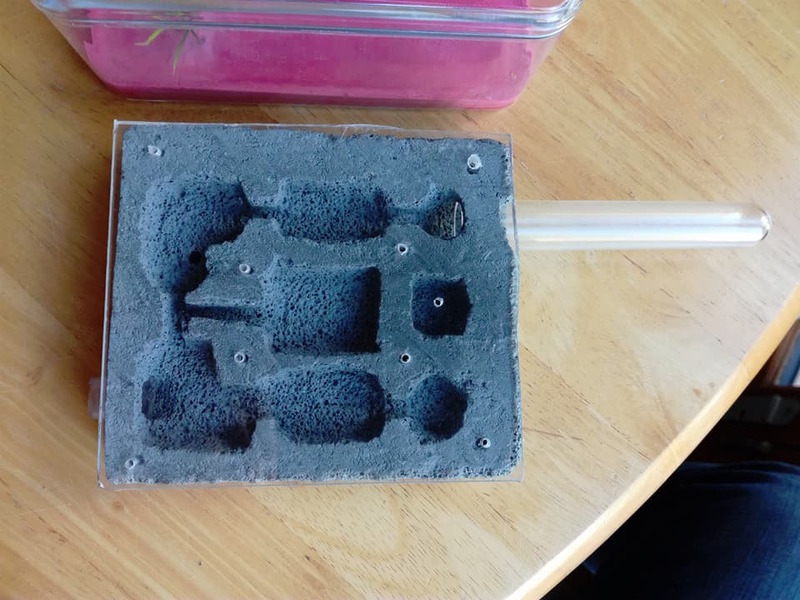 Then he explained that the only tool he used to create the nest was a screwdriver, proving that creating or making your own formicarium doesn't have to be difficult or expensive. And you certianly don't need special or expensive tools. Add to that an acrylic box for the outworld and you've got yourself a great affordable formicarium.